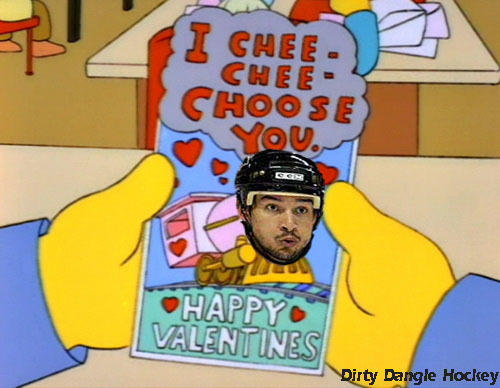 It's that time of the year again where we all say Valentine's Day is really stupid, but still end up spending like Glen Sather as a means to try and get laid. While most of us eagerly anticipate for the day to be over so we can get discounted chocolate and candy the following day, some people get really into it and like to buy their loved ones or crushes flowers and cards. 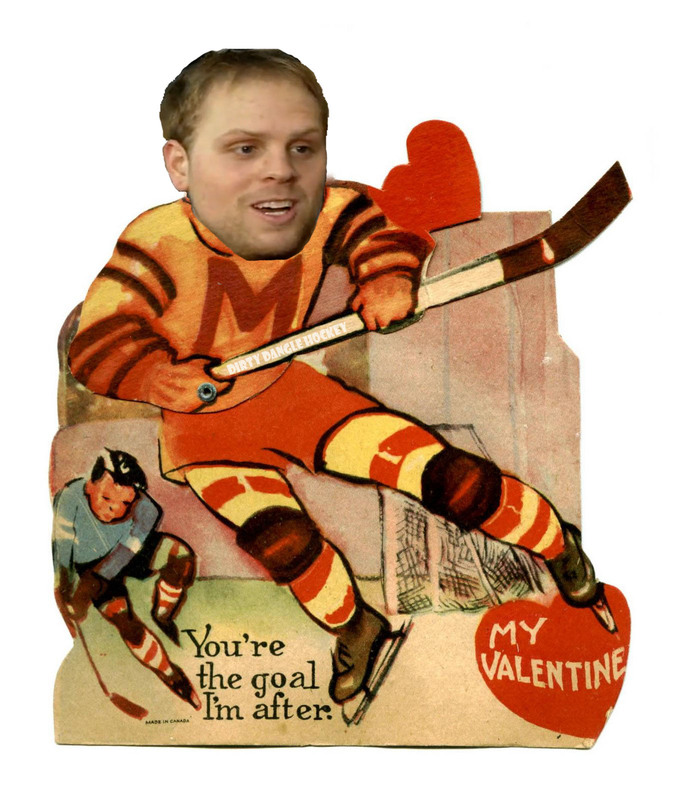 Well, if you have a hockey fan as your Valentine then you've come to the right place for Valentine's Day hockey cards. 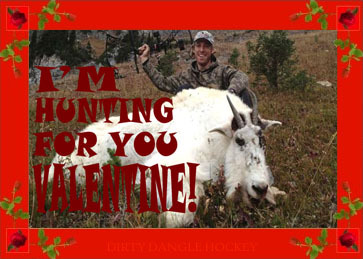 David Booth might be playing Cupid this Valentine's Day; we hear he's pretty good with a bow. Geno Malkin wants to draft you on his tonsil hockey team. You should feel special that Tyler Seguin would text you as he's pretty selective in his SMSing. 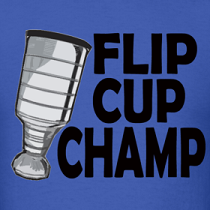 It is said that Ryan Kesler falls head over heels in love every game. There's crazy in love, and then there's Tim Thomas-crazy in love. Show your Valentine that they're really special. 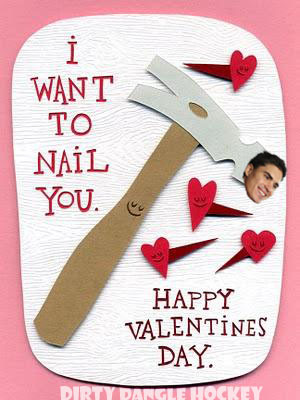 Nail Yakupov is a pretty straightforward guy. but let your Valentine know they're the real goal.